As the healthcare industry continues to transform, we must evolve our global talent management practices to keep pace with the capabilities and competencies required for the future; this will help ensure we continue to meet, if not exceed, the expectations of our patients, customers and all other people we serve. We lead with agility and urgency, and work to ensure we attract, develop, empower and retain a constellation of talent that is diverse, collaborative, innovative and both present-minded and future-focused. We know our employees share our values, and feel a strong sense of purpose and meaning in their work; but we also recognize that they seek opportunities for professional growth and development, while enjoying work-life balance. Through a multitude of strategic programs and initiatives, we are working to deliver learning at all levels, including increased opportunities for diverse learning experiences. We are generating more talent choices for leaders of the future, with a strong talent pipeline to help us deliver on improving health for humanity. Since healthy careers are only one aspect of well-being, we also work hard to provide resources and opportunities for employees to build healthy lifestyles and healthy families. At Johnson & Johnson, we understand the workforce of the future will need an innovative mindset, exposure to multiple cultures and a diverse set of experiences and skill sets. To benefit our people and our business, we seek to empower and inspire our employees to develop themselves and their ideas. As our Company adapts to reflect trends in healthcare and the society at large, our talent management strategy has evolved to anticipate these changes. Our enterprise talent management is overseen by human resources leaders as well as by our functional and business leaders. 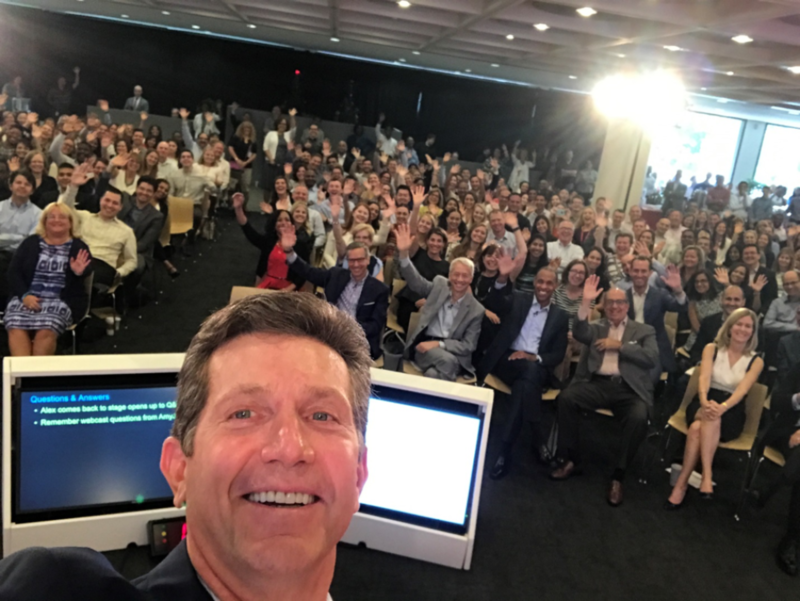 Together, these leaders across the Company are accountable for all aspects of talent management: attracting and recruiting talent, managing performance and development, building a pipeline of global and diverse leaders, and creating an environment that embraces diversity and inclusion. Human Resources, whose Executive Vice President, Chief Human Resources Officer, is a Corporate Officer and a member of the Johnson & Johnson Executive Committee, oversees Global Talent Management, Global Benefits, Health Resources and Worldwide Compensation Resources.